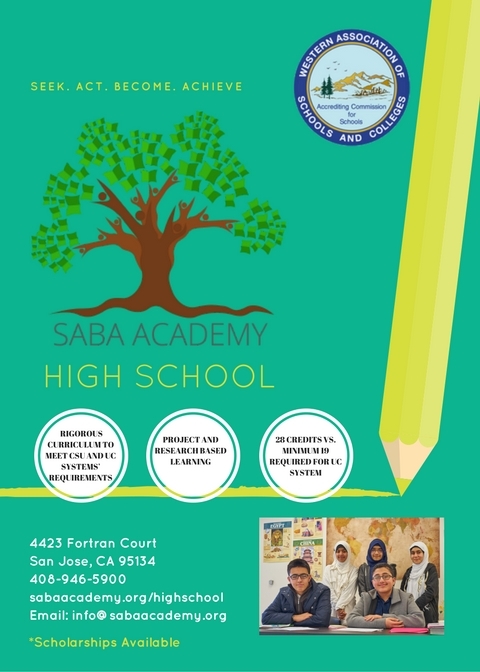 SABA Academy High School is currently enrolling for the 2017-2018 school year. We will be offering classes for 9th and 10th graders. For more inquiries or to register, please contact the school on 408-946-5900. Please see the flyer below for more information.